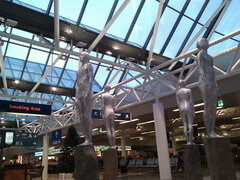 International Airport - Keflavík International Airport - is located about 50 km from Reykjavik, near Keflavik. Location 63.996268, -22.624338. The airport is quite comfortable, there are places where you can sit and wait. 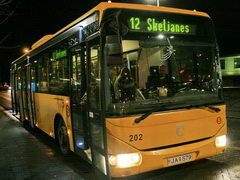 You gen get the Reykjavik city by bus or taxi. One way travel by bus costs 21 USD = 2 400 ISK Website Airportexpress. The main feature of the local airline Icelandair icelandair.usis the opportunity to book transatlantic flight with a stop (no more than 8 days) in Iceland. Please note - Iceland is exceptionally expensive for tourists even in the off-season (November to April). In-season prices tripled. The best is to rent a car at the airport. Book a car in advance is necessary, as the prices will be significantly lower. 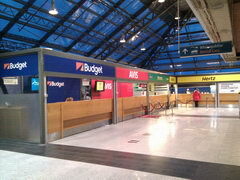 Most offices are located in the airport. But some are located 500 meters from the entrance to the airport. Their Location: 63.998381, -22.630161. You can safely walk. 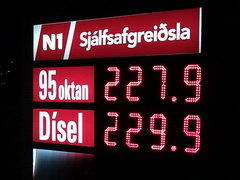 Gasoline on the island costs about 2 USD = 228 ISK for 95.